When scientists from all over Europe are working together on a project, perfect networking and smooth exchange are the cornerstones of success. A suitable platform for communication and coordination is therefore essential. KEYWAYS is custom-made for the management of EU research projects. The web-based tool offers project partners easy and secure access to all features needed to manage EU research projects. KEYWAYS highlights milestones and deliverables with due dates and responsibilities. The progress is displayed as a percentage and can be set individually. There is an additional commentary function allowing project partners to inform about the status quo of a task or upcoming changes, for example. Organize all your documents in one place with clear folder structures and inform project members automatically via email once new or modified documents are available. Each project member can check through a filter function when exactly their tasks are due. In addition, KEYWAYS can send out reminder emails at preset dates. Whether it is contact details of project partners or the latest research results – access up-to-date data via smartphone or tablet from anywhere you are. Notify your project partners about project meetings and invite them to register with a few clicks. As the organizer you always have an overview of all participants and the option to download registration lists as Excel files. Everything at a glance: KEYWAYS gathers all relevant project information in one place – well-arranged and at a glance. With regard to your project this means: no issues with document compatibility or lengthy search for phone numbers. Mobile and secure: KEYWAYS is a web-based tool. Therefore, you can access your project at any time via internet without having to install any additional programs. Of course, your data is safe with us thanks to cutting-edge security technology. Custom-made for EU research projects: KEYWAYS was developed by EU project managers. It has been used by hundreds of scientists since and we have optimized it continuously. This way we make sure to offer precisely those functions that actually facilitate your work. Always up to date – with minimal effort: Once a milestone is updated, all members involved receive an instant email notifi cation. Changes are immediately visible for everybody. Easy to operate: KEYWAYS is user friendly. 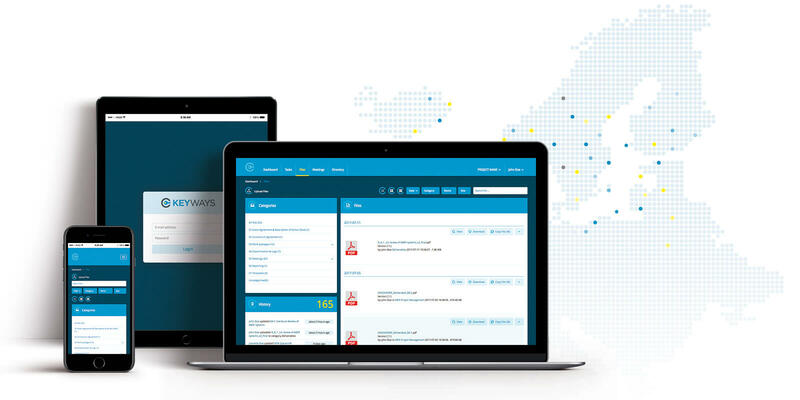 Selfexplanatory buttons and an intuitive interface allow you to get started straight away and work with the intranet without time-consuming instructions. Affordable and eligible through the project: KEYWAYS is custom-made for EU projects, and at the same time not more expensive than unspecific project management tools. Moreover, the license fee for KEYWAYS can be claimed as an eligible cost. We provide KEYWAYS to our project partners for free within the projects managed by us. We set it up when our common project starts and send all partners their individual logins. You want to use KEYWAYS but you are not working on any EU project with concentris (yet)? KEYWAYS licenses are affordable and can be paid from your project budget.